Guys, today I will show one new vape mod from Smok brand – SMOK Micare Mod, which comes with 700mAh battery capacity and vibration function, providing you with long vaping time and massive vapor, so do you want to have a try? There is a duck-style mouthpiece designed for suitable your mouth perfectly. It is also designed with a preheating function, which can perfectly liquefy the e-liquid and offer an excellent taste. There are 4 colors intelligent LED indicator which provides you information about the whole device by vibrating. It’s so small and exquisite, and you can freely put it in bags or pockets, wherever you go. And by the way, do you think the SMOK Micare Mod looks very like the SMOK MICO? MICO SMOK is beautiful and comes with two pods designed for different types of e-juice. The MICO is smaller and thinner than the mini-mod. Because it’s square, it has a very different feel than other pod pens. All color options are very dynamic, so you won’t get lost in a crowded pocket or handbag. It’s also light and perfect for travel. There’s even a harness in the kit, so you can hang your MICO pod mod around your neck. If that’s your style. 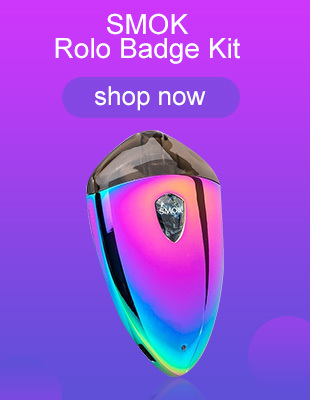 Unlike some other vape pod systems, the SMOK MICO comes with two refillable pods. Each has a different coil resistance for the atomizer. Both pods contain a lot of e-juice –1.7 ml. In a word, SMOK Micare Mod and SMOK MICO are both use amazing resin colors that suit your palm very comfortable!